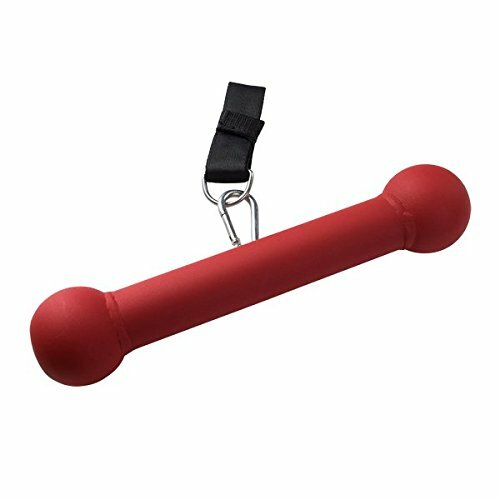 The Body-Solid tools dog bone features two surfaces for grip strength workouts. Use the center portion or challenge yourself with the oversized spherical ends. The BSTDB dog bone can be attached to grip plates, dumbbells, Kettlebells, barbells, cable machines and Pull-Up/chin-up bars. Ideal for pull-ups, farmers walks and a multitude of other grip strength movements. The BSTDB is manufactured with a non-slip matte Red paint finish and a strong nylon strap for safer workouts.